It was quite an unceremonial sepulcher for one of the worlds best known and successful wartime admirals when he was returned to England, his home country, in a barrel of brandy. The highly decorated Admiral Lord Nelson was indeed, best known for his victory over the French and Spanish in the Battle of Trafalgar on the 2lst of October, l805. The last of his countless battles at sea, Nelson was given a heros funeral and his flagship Victory was returned to Portsmouth, England. It now rest in dry dock and receives 400 thousand visitors a year. This wasnt his first brush with Napoleons might. Nelson might have considered him equal to todays Stalin or Osama bin Laden. It wasnt without reason, however. Napoleon had massed 90,000 troops on the French coast of Brittany on the English Channel for the reason of invading England. However, the trump of the deck is that he couldnt match Nelsons naval power to protect his army in the crossing according to historian and nationally known writer Simon Worrall. One of Nelsons chief advisories was the French Admiral Pierre Villeneuve, commander of the combined fleet of French and Spanish. Knowing well of Nelsons power at sea and Napoleons hesitation to confront a British naval engagement on crossing the English Channel, Villeneuve led Nelson away from England on a chase that brought him all the way to the Caribbean Sea and back. It was a close call several times for Villeneuve, but he made good his evasion until the Battle of Trafalgar. This was the place of the famous battle not far from the Rock of Gibraltar at the mouth of the Mediterranean Sea. Historians describe the battle as the last great battle of the sailing ships. Out numbered and going against all odds for the forbidden maneuver against side armed frigates, Nelson ordered his ships to head straight to the great line of the enemy ships lying in side angles so as to fire their guns point blank at the head on enemy. Obviously this tactic was almost taboo in naval engagement in those days but the clever Nelson did it for a purpose. It was a great risk to break the line of ships as he did but it gave him the advantage of firing directly into the enemy ships as they tried to maneuver around. The wind certainly was not to their advantage to do so; and Nelson knew that. The Spanish allies of the French apparently were not exactly an admiration society. They didnt like Napoleon nor did they trust him. It seemed, in the battle of Trafalgar that they might lack some enthusiasm for their brothers to the north. 5000 men were killed and another 3000 wounded including Admiral Nelson. Riflemen aboard a French vessel fired a musket ball into Nelsons shoulder from a snipers position high on a mast. The bullet went down through his ribs and into his lung. He was taken below as his lungs were filled with blood. The battle scars of honor worn by Nelson were nothing new. In a previous battle, a musket ball tore off his right elbow and his arm was amputated above the wound. He jokingly referred to it as his fin. He was also blinded in one eye in another battle. Mild mannered as any man I have known, was a comment in a letter home by one of his leaders, Captain Collingwood. Nelson was known by his enemy by the word annihilation because that was his battle cry in fifty or more engagements. Yet, he otherwise was known as the most gentle of all human creatures and often lamented the cruel necessity of it, but it was a principle of duty which all men owed to their country in defense of her laws and liberty. Trafalgar saw the triumph of the Anglosphere, writes Tim Clayton. As a result of Trafalgar, English became the global language of maritime trade. And it still is. WALLER The Crosby High School boys varsity soccer team made the best out of a two-day 12-team tournament hosted by Waller High School bringing home the championship trophy. This was the first tournament championship for the high school program and they set a program record for five straight shutouts. The Cougars scored 21 goals and only allowed one goal to be scored against them in the six games played. The Cougars faced Brazosport in their first encounter and won 5-1. A stiff wind all day made the Cougars work extremely hard to keep the ball in play. Austin Roden scored the first goal on a cross from Kyle Claunch. Julien Genot followed with a goal from another Claunch cross. Brazosport was awarded a penalty kick and made the score 2-1 before the Cougars added three more second half goals. Genot assisted on a left-footed kick outside of the 18 from Juan Ochoa. Roden challenged the goalkeeper one-on-one after receiving a pass from Claunch for the fourth tally. The final goal, from Ramiro Rodriguez, came as the goalkeeper tried to block the first shot from Wes Felker. The second game pitted Bryan against Crosby where the Cougars won 3-0. A throw-in from Claunch to Jed Garner netted the first score. The goalkeeper fumbled a shot from Julian Salazar allowing Keith Lund to crash the goal. The third and final goal once again was instituted as the goalkeeper mishandled a direct kick from Eddie Morgan allowing Roden to tap the ball into the net. Navasota fell short to the Cougars 5-0 at the end of the day. Genot punched a cross from Eric Barajas into the net and Claunch scored from an assist from Salazar in the first half of play. Claunch later scored on a cross from Jed Garner. Jose Garcia tallied two goals with assists from Claunch and Rodriguez. On Saturday, the eight high-point teams returned to the field to play. Crosby went into the second day as the number one seed. They once again faced Bryan and showed the team that their initial win was no fluke. This time Crosby outscored Bryan 5-0. After a shaky first half with only one goal from Barajas, the Cougars settled down. A tripping foul was called and Eddie Morgan lofted a directed kick to Scott Holmelin for an easy score. Morgan sent another direct kick into the face of the goal for Genot to head in. Later Roden headed a ball across the goal for Garcia to redirect into the net. Morgan sent a third direct kick into play for Rodriguez to touch in for the score. The semifinal game was intense against New Caney. Neither team could manage to score in the first half. Midway into the second half, Juan Ochoa shot from the left outside of the 18 to put the Cougars into the finals. 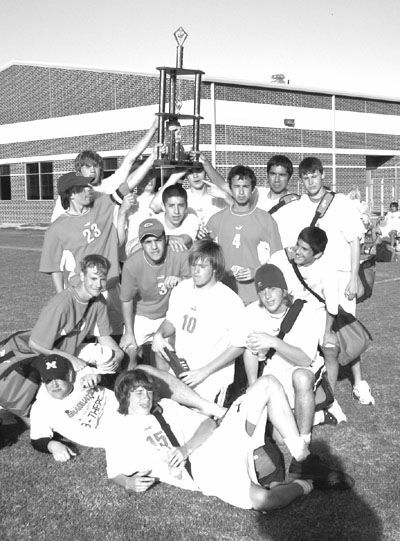 Host team, Waller, faced the Cougars for the championship. Garcia managed to be in the right place at the right time twice. In the first half he received an accurate corner kick from Barajas to put the Cougars ahead. Later in the second half, Felker sent a ball across the field to Lund who headed the ball to a waiting Garcia in front of the net. The Crosby defense of goalkeepers Morgan and Alex Walthall as well as defenders Kevin Abernethy, Jose Cepeda, Barajas, and Garner was relentless. The midfield play from Royce Cornett and Dustin Demasi helped maintain the offensive threat as well as provide defensive support. Crosbys Eric Barajas and Kyle Claunch were named to the All-Tournament Team and Jose Garcia was named the as Tournaments final game MVP. This six-game win gave Coach Nathan Helburg his 101st win during his on-going career at Crosby High School. Remember those Burma Shave Signs? Here tis the fourth week into January and been out back in the garden this morning. Planted the tomato plants purchased at Wal-Mart earlier. If and if they make, Ill have a head start on some of the other sod busters in the area and maybe have bragging rights. Understand there is a good chance of the tomato plants getting kilt back by frost and will break out the duty buckets if freezing temperatures come. Only bought two of the outhouse variety of tomato plants so it is not going to make that big of a difference except for the dollar bills out of my pocket to purchase the plants. Outhouse tomatoes are what my uncle called cherry tomatoes if you savvy and that is putting it nicely as he said they will grow anywhere. How about you, got your soil tilled or turned yet? An old friend suggests turning the garden soil with a shovel; he says it will build your character. Received an email this week from someone asking if I remember the small red signs with white letters on the side of the road back a long time ago. It was of course Burma Shave, a popular shaving cream in its day. Bring back any old memories? If not, youre merely a child. If they do  then youre old as dirt. Like me. How about tobacco barns painted with SEE ROCK CITY or RUBY FALLS? Good Bread, Good Meat, Getting Late, Lets Eat. Heard that on the movie THUNDER ROAD, it was Robert Mitchems son saying the blessing. After he finished saying grace, his grandma back handed him away from the table onto the floor. This is my first column since arriving back in the fine community of Crosby. It is good to be back. Linda and I are enjoying looking at what is new since returning here late on Tuesday, Jan. 10. I lounged around most of Wednesday after the 1,240 mile trip from the mountains of West Virginia. Began driving around a little on Thursday and have done a little more each day. A day or two after arriving I went to the Chamber of Commerce building to get a couple of recent copies of the Star-Courier. Mitzi Plumb, manager of the local chamber, was there so I spent a couple of minutes saying howdy to her. If you arent aware of it this paper has an office there, primarily for dropping off stories and photos for following editions. I picked up a couple of recent copies of the Stars-Courier. I get a copy each week but sometimes the mails fail to get them to our home for two or three weeks. Other items I took included the January schedule of happenings at the Crosby Community Center. Ive been impressed with the centers offerings in the past and January looked interesting. This past Sunday morning we found our way to the Crosby Methodist Church, our regular haunt for worship these past five years. Mrs. Tamara Keene did the childrens sermon for the younger set and, among other things, mentioned the Crosby Community Center and its many good things kids can to do there. I thought, that settles it, my next column will be about the center. While Mrs. Keene was talking to the kids she mentioned a class she had recently taken there. This was a point well taken. The Center has offerings each month for kids of all ages, from youngsters to those kids my age (lets just say over 65). In as much as most of you will be reading this on a Thursday lets look at the schedule for that day each week this month. The events run from 8 a. m. to 7:15 p. m. starting with Rhythm Walking and Body Toning Chair Exercises. Other days also have Aerobics and TOPS (Take Off Pounds Sensibly) which fit in the health category. These are followed by things like Bingo, Crazy for Canasta and a Quilting Class immediately after lunch. At the 1 p. m. hour there is a new Tai Chi for Beginners class and at 1:30 p.m. Party Bridge. Yoga follows at 4 and Rhythm Walking again at 5 p. m. for those of you late risers or those unable to get there at 8 a. m.
In the evening the Thursday schedule includes Aerobics, a beginning Square Dancing class and ends with a mainstream Square Dancing class. I doubt anyone takes in more than one or two of these items in a day, but if you do God Bless You! Youre surely worn out. None the less there is something for people of all ages at the Crosby Community Center and I hope you are taking advance of your share of the activities. If so, you surely are getting fit, getting some intellectual training and have a good time all together. 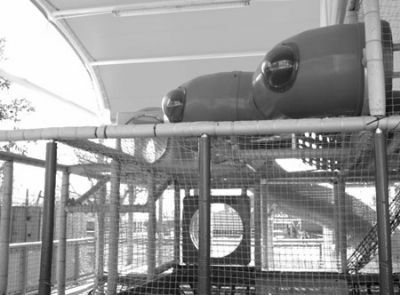 Crosby Church recently aquired the 30 ft. by 50 ft. Kids Softplay from AstroWorld in Houston. Beginning the move this weekend, it will bring on a fun play set for the kids and memories for adults playing under the red canopy when they were young. Harris County Prec. 2 Commissioner Sylvia Garcia was unable to address the Crosby/Huffman Chamber of Commerce last week so her Director of Communications, Paul Mabry, filled the bill. Questions about roads and bridges lead to an expounding that Precinct 2 had re-worked Holy Road in Crosby recently and the effects are obvious to anyone driving that road. Garcias initiative to pay for indigent care has provided $7 to $8 Million dollars annually, enough to fund a $200 Million bond for an indigent health care emergency room in Precinct 2. Garcia was instrumental in defeating an initiativeto scale back the amount paid by Harris County for Deputy Constables that patrol the classrooms and other contract deputy programs. NEWPORT Following the annual vote and election of board members at the New Property Owners Association of Newport meeting on Jan. 12, various parties continue to be unhappy with the results and make charges about the veracity of the other parties. Included in these charges is this newspaper, the Star-Courier. In a letter to the publisher, Rampart Capital president Jim Carpenter has criticized the article in last weeks paper for its inaccuracy or incompleteness. This letter has been published herein, in an effort to present all sides of the story completely. A discussion and rebuttal to the letter follows the text of the letter. However, the Star-Courier has learned that at this months regular NPOAN board meeting, members of the Concerned Members of Newport group plan to request additional information on the Jan. 12 voting, and expect this meeting to be constructive and conducted in a friendly manner. It will be held Thursday, Jan. 19 at 5:45 in the Country Club. The crux of the charges from CMN, according to resident and member Kathy Slaughter, is that the board conducts much of Newports business in private sessions, and that information and financial transactions are not available to residents. In addition, she says that CMN feels that an attitude of disregard for homeowners wishes will lead to a situation where there is no control over maintenance fees, subcontractors agreements and services, sale of assets, and legal agreements such as deed restrictions, voting rights agreements, and by-laws. She cites the recent secrecy surrounding the board elections, and failure to fully answer questions regarding Ramparts votes, as examples of this attitude. She says that CMN believes that voting irregularities may have existed and are being covered up. CMN feels that the election totals as reported by CIA Services, Inc. may not reflect the vote of those who were eligible. Even though the election had monitors, nevertheless CMN claims that there was no validation of who was present that night, and eligible to vote. Since then, the records have not been made available to see if this is true. In rebuttal, Rampart Capitals president has issued a detailed letter to the Star Courier, responding and refuting many of these points. Once again, Lewis Spearman and the Star Courier report events within Newport without being present at the meetings or independently verifying alleged facts! In his recent article Newport Re-elects Board Members, Mr. Spearmans article states that about 400 or more of the votes… were cast by the board from Newport Fund, a subsidiary of Rampart Capital. The article also states that by casting such votes the NPOAN board will retain an advantage in determining election outcomes including maintenance dues, deed restrictions, and ultimately who is elected to the board. Further, the article states that those votes were subject to a Voting Rights Agreement limiting those votes for quorum purposes and also implied that Rampart transferred the majority of its votes to Newport Fund to avoid the Voting Rights Agreement and vote its lots. RAMPART AND ALL OF ITS RELATED ENTITIES COMPLIED WITH THE VOTING RIGHTS AGREEMENT AND CAST 405 VOTES FOR QUORUM PURPOSES ONLY. How one votes is by law a secret matter; however, I am enclosing a copy of Ramparts Proxy for verification. Also, I am requesting the independent election judges to verify by affidavit to the Star Courier that the attached proxy was voted for quorum purposes only and not for any candidate. In 1999, Rampart Properties purchased the assets of Newport Subdivision and the rights of the previous developer from the Bankruptcy Estate. Through an agreement with the New Property Owners Association of Newport(NPOAN), Rampart assigned its votes for the lots acquired in that transaction to NPOAN. It was Ramparts understanding that those votes would only be used at annual meetings for quorum purposes only. When the attempted re-call was scheduled for October, Rampart realized that its Voting Rights Agreement did not clearly limit its votes for quorum purposes only and that those votes could, in fact, be voted by the NPOAN board for any purpose. The Board of Directors of the NPOAN did not cast Ramparts votes at the October re-call meeting even though they had a contractual right to do so. After the October meeting, Rampart approached the Board and requested that the Voting Rights Agreement be amended so that this Board or any future Board could not use the Rampart votes to vote in an annual election other than for quorum purposes only. The NPOAN Board approved this change. Rampart currently has 405 votes under the Voting Rights Agreement and in accordance with the Agreement, executed a proxy voting those votes for quorum purposes only. I repeat, RAMPART AND ALL OF ITS RELATED ENTITIES COMPLIED WITH THE VOTING RIGHTS AGREEMENT AND CAST 405 VOTES FOR QUORUM PURPOSES ONLY. Companies related to Rampart hold lots that are not subject to the Voting Rights Agreement. I, as a principal of these entities, cast those votes. However, those votes cast for quorum purposes represented a significant majority of all lots collectively owned by Rampart and any of its related entities. As for the January 5 meeting of Concerned Members of Newport, a resident of Newport who is an employee of the developer attended the meeting. There were 25 persons in attendance, not 250 as reported by Mr. Spearman, who was not at that meeting. Further, at that meeting she informed her fellow residents that the Rampart votes subject to the Voting Rights Agreement would be used for quorum purposes only. Since Mr. Spearman was not present at either meeting, it would appear that someone is ghost writing his articles, perhaps even someone that might have some motivation to intentionally misstate the facts. The misstatements, hopefully made unknowingly by Mr. Spearman and the Star Courier, could have been prevented if the Courier had contacted the NPOAN board or Rampart regarding the proxy votes. I was at the annual meeting and answered multiple questions from residents – not one of which was from any reporter from the Star Courier. In the spirit of accurate reporting, I would hope that all future articles in the Star Courier would attempt to include both sides of an issue and that the Star Courier would attempt to verify the facts. Since these election issues began, at no time has Mr. Spearman or anyone from the Star Courier attempted to contact myself or a member of the NPOAN board to verify facts or to provide alternative comment before any article has been printed. Does this represent fair and balanced reporting? I have contacted Mr. Hoffman, owner, editor and publisher of the Star Courier, to request a meeting with him and Mr. Spearman, to discuss the matter. We thank Mr. Carpenter and others for their comments, which we take in a constructive manner. Reporters from the Star-Courier have attended NPOAN meetings, at least part time on many occasions. Mr. Carpenters reference to the Jan. 5 meeting was not correct, we were present for part of the time, and interviewed others who stayed the whole time. We develop our stories from many sources, even though we have not questioned Mr. Carpenter directly. For last weeks story, we used several interviews, the Newport website at CIA Services, and our own firsthand information. On previous occasions we have interviewed NPOAN board members/officers and reported their words. Sometimes calls for information are not returned in a timely way, and this affects our available data. We do not use ghost-written stories, and try to present all sides of a story if there is a controversy. In last weeks story, we clearly stated that spokespersons for Concerned Members of Newport contended that there were voting irregularities. In his criticism Mr. Carpenter ignored this attribution and qualification. Although our story said that nearly 250 persons attended the Jan. 5 Concerned Members meeting, Mr. Carpenters employee saw no more than 25. We agree that we saw a small number at any one time, but many more were coming and going to the evening meeting, in addition to an afternoon meeting not attended by Ramparts person. We regret any misunderstanding of this representation. We welcome letters or emails of criticism or clarification, on this issue or anything of interest to the community. Although our work may not always be perfect, we strive for fairness and accuracy in these pages for the benefit of our community. 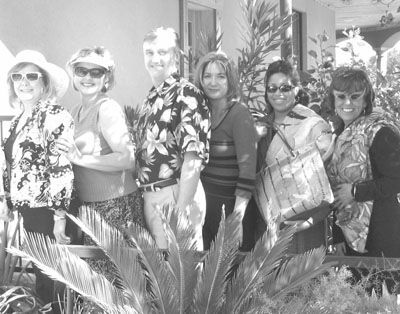 Getting ready for some smooth sailing are members of the West Chambers County Chamber of Commerce banquet committee. The recognition event, themed Winter Escape Comedy Cruise will be a fun filled evening with on-board entertainment by Radio Music Theatre, a highly acclaimed comedy trio from Houston. Tickets are available from the Chamber office by calling 281-576-5440. Pictured are Judy Barrow of Capital Bank, Cruise Director Sheila Crawford of Staffing Connection, Captain John Koonce of Barbers Hill Schools, First Mate Michelle Hicks Gilmore, a QuickbooksPro Advisor, Executive Chef Toni Lewis of Especial Events, and Entertainment Director Marlena Halloway of Enterprise. MONT BELVIEU Four people who were named to the 2005 Class of the Barbers Hill Sports Hall of Honor will finally get their recognition this weekend. An induction ceremony was scheduled for Oct. 1. However, because of Hurricane Rita the ceremony had been postponed. Carmina Goss, who serves on the Hall of Honor committee, said the ceremony would be held Jan. 21 at the high school auditorium. The event begins at 6:30 p.m. The halls golf tournament, which was planned for Sept. 23 was also postponed. Goss said they were not sure when the tournament would be held but that they wanted to do it soon, before the spring tournament season begins. Three former Barbers Hill athletes are among the inductees who have been selected as the Barbers Hill Sports Hall of Honor Class of 2005. This years class includes James Clark, Ken Skidmore and Aarika Florus. For his contributions to the Barbers Hill athletic program, James Jimbo Wooldridge has been named a Special Recognition Honoree. Basketball: All-District 1968; All-State 1969; varsity starter for three years; he averaged 30.1 pts per game 1969; he had 54 pts. in a single game against Tarkington in 1969. *Collegiate Basketball: U. S. Coast Guard Academy 1970; Sam Houston State University 1971. *Football: Member of 1968 Bi-District Championship Team; 3 varsity letters; All-District 1969; 14 pass receptions in single game BH vs. Hardin 1968 (State record). *Tennis: District Doubles Champion & Regional Qualifier 1967, 1968 & 1969. *Football: District 23-AAA Sophomore of the Year 1990; 1st Team All-District 1991 & 1992; District MVP 1992; All-Region & All-State Teams 1992; Team Captain 1991 & 1992; he had 4,301 Career Passing Yards; 38 Career Touchdown Passes and 18 Career Rushing Touchdowns. *Collegiate Football: 1-year letterman University of Southwestern Louisiana at Lafayette; 1995 Big West Conference All-Academic Team. *Track: District Champion Discus 1991, 1992 1993; District Champion Shot Put 1992 & 1993; Regional Champion & State Meet Qualifier Discus 1992; Career Best Discus 1624″ (BH School record). *Collegiate Track: 2-year letterman University of Southwestern Louisiana at Lafayette; 4th Place Sun Belt Conference Meet Discus 1994; 5th Place Sun Belt Conference Meet 1995. *Basketball: Member of the 1997 State Championship Team; Member of the 1995 Regional Championship Team; All-District 1996, 1997, & 1998; District 22 AAA MVP 1997 & 1998; was named to the All-State Team 1997 & 1998; was the 1997 Conference AAA MVP State Tournament; TABC, TAHSC 1998 All-State & Texas Basketball Magazine All-State 1997 & 1998; Averaged 23.9 pts. & 10 rebounds per game 1998. *Collegiate Basketball: 4-year letterman Rice University; 1999, 2000, 2001, & 2003 Western Athletic Conference All-Academic Team. *Cross Country: 2-year varsity letterman; member of the 1994 Regional Champions & State Qualifiers. *James Bradley Jimbo Wooldridge was one of those rare individuals who demonstrated by his actions his love for all human beings, especially children and young people. 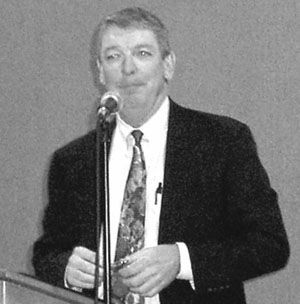 For many years he devoted a large portion of his time, talent, energy, and financial assistance to the youth of Barbers Hill, particularly to those involved in sports. Jimbo was always supportive of Barbers Hill athletes and his support encompassed several areas. He served as an assistant baseball coach/trainer/team doctor (with supplies he paid for himself). In addition, he was also there for the athletes to empathize when disappointments came, to motivate them to not give up, and to counsel if needed. For many years, the coveted Jimbo Wooldridge Sportsmanship Award was given to an athlete chosen by his teammates. Jimbo was also a role model for courage. As a young child he injured one of his knees and walked with a pronounced limp. Yet he overcame his handicap and won a track scholarship to college, played semi-pro baseball, became a successful husband, father, businessman, church deacon, a member of the Hall of Fame of the Lions Crippled Childrens Camp, and a friend to all. He will always be a cherished part of the history of Barbers Hill athletics.